It's important to maintain accurate records when claiming tax deductions. 3. How Do Donations to 501(C)3 Work in Taxes? The Internal Revenue Service audits a small percentage of the millions of tax returns it receives each year. Although historically the IRS has been reluctant to share specifics with regard to what triggers an audit, claiming substantial deductions, including deductions for charitable donations, may serve as a red flag to the IRS and cause them to take a closer look at your return. This doesn't mean you shouldn't claim a qualifying deduction for charitable giving, but you'll need to make sure you have proper documentation to prove your donations if the IRS ever asks you to do so. Generally, the IRS allows you to deduct any cash or property that you donate to a qualifying charitable organization. This includes churches and religious organizations, nonprofit charitable or educational organizations, nonprofit hospitals, and schools. If you're not sure whether an organization qualifies, you can search for the federal database for a particular charity on the IRS website. You cannot deduct charitable gifts made to an individual person or donations of your time or services. You may, however, be able to deduct travel expenses if you're performing charity work that requires you to be away from home and there's no recreational or vacation element to the trip. 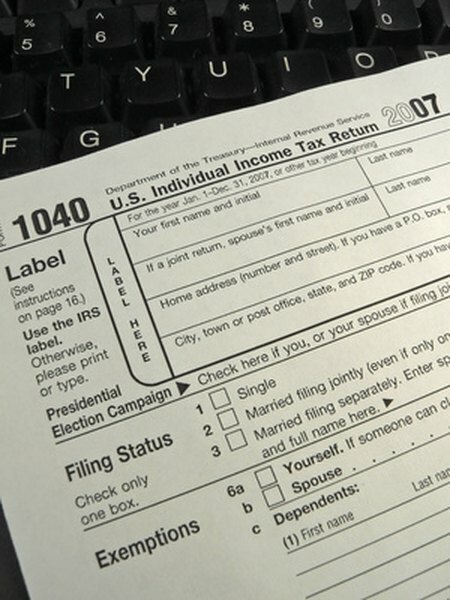 In order to claim a deduction for charitable donations, you have to itemize deductions on Schedule A, Form 1040. You need to enter dollar amounts for both cash and noncash contributions. If you donated clothing, household goods or other items valued at more than $500, you'll also need to complete Section A of Form 8283. If you're claiming a deduction for donations of items worth more than $5,000, you'll need to enter this in Section B of Form 8283. You may also need to complete Form 1098-C if you're claiming a deduction for the donation of a car, boat or other vehicle. Maintaining accurate records of your charitable contributions is the best way to protect yourself in the event you're audited. The type of documentation you'll need to keep generally depends on the type and amount of the donation. For example, you'll need a written statement from the charitable organization acknowledging your donation for cash gifts of $75 or more. It's also a good idea to hold on to canceled checks, bank account statements and receipts pertaining to cash donations. For noncash contributions, you'll need a receipt from the charity acknowledging the donation and the type of property received. If you're claiming a deduction for property valued at more than $5,000, you'll also need a professional appraisal or estimate of the item's worth. The IRS allows you to deduct charitable contributions up to 50% of your adjusted gross income. If your deductions are greater than 50% of your AGI, you can carry over the remaining deduction to the next tax year. Keep in mind, however, that the IRS may raise an eyebrow if your charitable donations are disproportionately high compared to your income.